ACI Willow Bark P was formulated to take advantage of the skin properties of Salix Alba, and a natural corn starch-derived propanediol. Salicylic acid itself is perhaps the most useful multifunctional ingredient available to the cosmetic formulator. It functions as a hair and skin conditioner and its anti-aging properties have been compared to those of retinol. 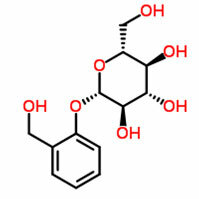 Willow Bark P also contains 1,3-propanediol derived from corn sugar. This component acts as an emollient and a humectant, whilst also augmenting the antimicrobial activity of the willow bark. Unfortunately, the original source of propanediol could not be guaranteed GM-Free, but we are now delighted to have found a totally GM-Free replacement.